ALO WALA is the sound of a new Europe, a new world, and a new way of thinking about one another as belonging to an interconnected global society. Today in a time when dancehall and hip hop informed culture has taken hold worldwide, local club DJs, multilingual rappers and bedroom producers are coming into their own and becoming leaders of a new generation. ALO WALA is poised to step out as one of the bright lights of this movement. ALO WALA, meaning “The light vendor” in a Bengali and Hindi melange, is a live electronic music band employing a host of global influences on their sonic palette. 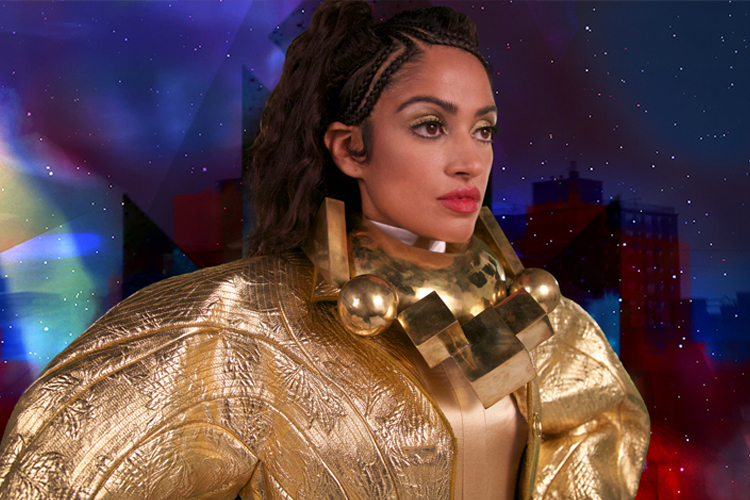 Featuring Chicago born rapper Shivani Ahlowalia and Tropical Bass pioneers Copia Doble Systema, the live show swanks energetically charged vocals delivered by Shivani and hefty percussion from boy wonder Alexander. She is currently tearing up Europe played Glastonbury on June 28th and Roskilde Festival with Damon Albarn’s Africa Express on the 4th of July. Alo Wala played earlier this summer in front of an industry crowd at Midem in Cannes, where they were selected to enter the ’Artist accelerator program by industry vets’ like L.A. Reid, Rob Hallet, Seymour Stein, Harvey Goldsmith and Chris Kaskie.